Percy Charles Abels/Ables (note variation in spelling) was born in 1886 in the St.Pancras area of London, son of William and Sarah Abels. By 1901, he was working, aged 15 as a general farm servant in Lutterworth, South Leicestershire, in the household of a James Richardson, who gives his own birth place, as Warford Hall Farm, Cheshire. On 30th December 1902, Percy enlisted in the Leicestershire Regiment, giving his age as 18, and his trade as a labourer. After his demobolisation, the next sighting of Percy was on the 1911 census. Percy was living in Great Warford and was working as an agricultural labourer with two other men. The census entry reads: “The above three persons are reported by the police as being found in a barn at Stag’s Head Inn, Great Warford” (The Stag’s Head had been run by James parents, William and Emily Richardson for more than twenty years). As a man considered a Reserve at the declaration of war, Percy was mobilized in Leicester on 5th August 1914. According to his service record, on 9th Sept 1914, he embarked as part of 6th Division of the British Expeditionary Force to France. His spell in France was brief and he returned to England on 28th October 1914. He then embarked once more to France on 18th March 1915 where he suffered a minor wound on 28th August 1915. 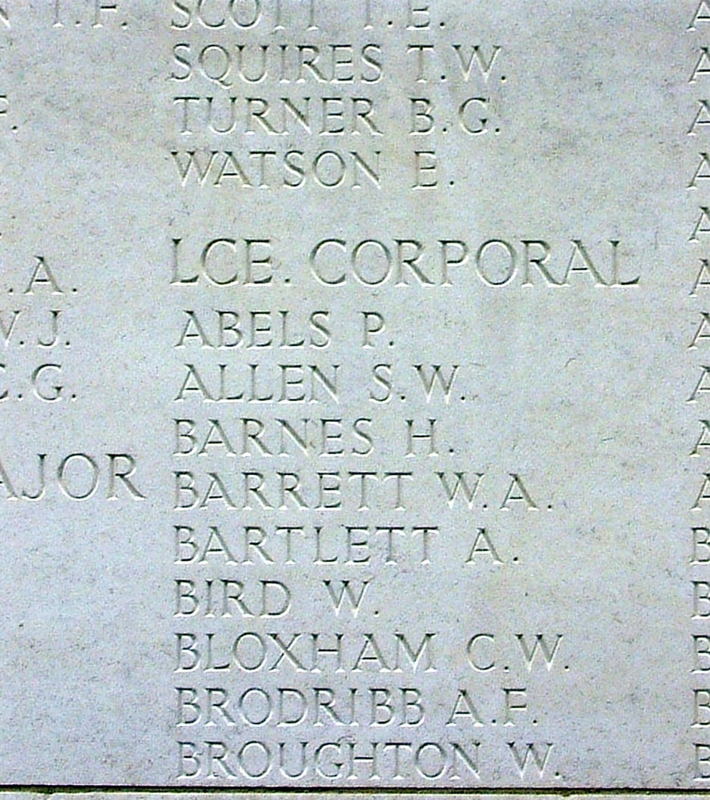 Just over a year later, on 21st September 1915, he was promoted to Lance Corporal. 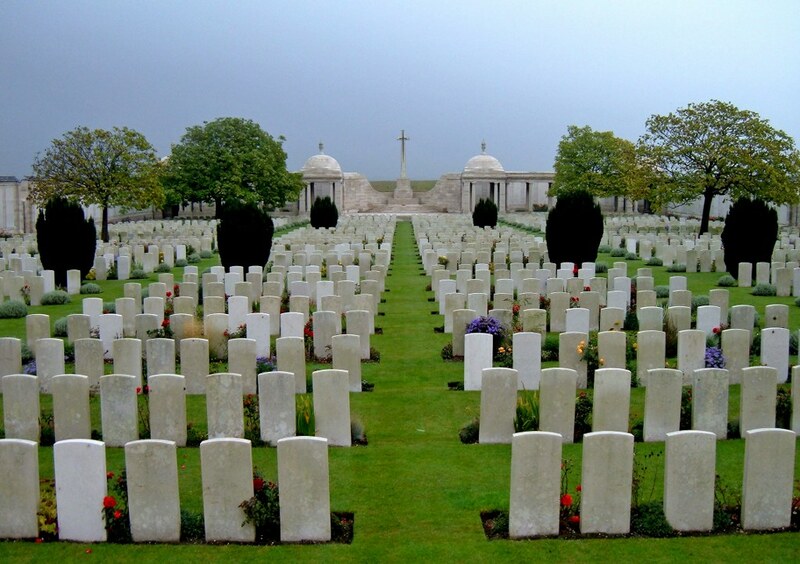 Percy Abels has no known resting place and is commemorated on the Loos Memorial, Pas de Calais, France. At 5.30am the Battn. was in positions of readiness in accordance with orders in four lines opposite their objective with bombing parties, sandbag parties and carrying parties all arranged and in position. At 6.00am the first line got over the parapet quickly followed by the second, the left had to right form to get in line with the right as the trench ran back from a salient near the centre. As the first two lines went out the third and fourth filed into the vacant positions in the firing line. The gas affected a number of our men, and the smoke caused a dense fog and direction was difficult. Casualties began at once and the third line was ordered out to fill up gaps. Owing to the thick smoke it seemed likely that gaps would occur on the flanks and at 6.07am the fourth line was sent out with special instructions to maintain touch with the units on either flank. At about 6.10am the left were over the German parapet and our flag was seen flying on their lines. The left went forward with such dash that they outstripped the 2nd/8th GURKHAS and came in for a lot of fire from rifles and maxim guns from our right. This caused a good many casualties including all the officers. Undeterred the men went on, got over the uncut wire and reached the road with parties of the 2nd/8th GURKHAS and gained their objective. In the meantime our right had not fared so well. They went forward in good line under a heavy fire till held up by the German wire. A number of our men here were collected in the ditch in front of the German wire waiting for developments. What was left of the Battn. were relieved from the front line by the 2nd/39th GARWHAL RIFLES at 6.30pm and moved into support and local reserve just in rear. Before the operations began the Battn. worked for a week in strengthening the front line and preparing the defences behind. Four very strong lines were constructed capable of resisting the enemy’s bombardment.